Al Saba'a Al Munjiyat. 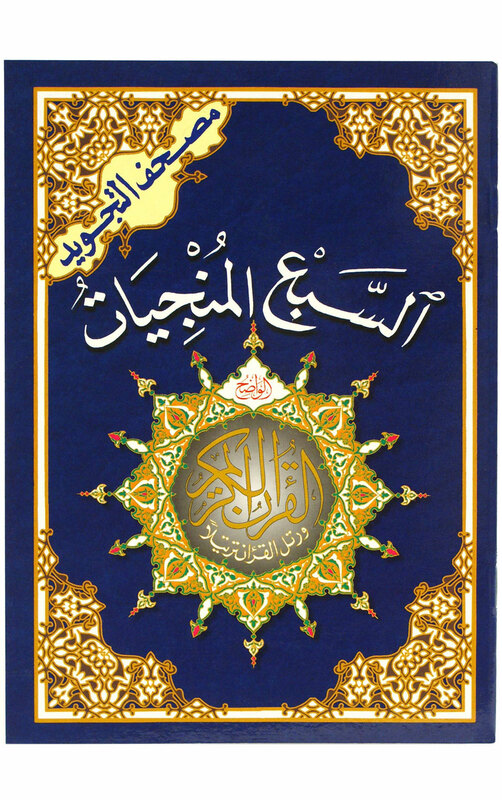 Size 5.5"x8"
These are selected seven surahs, which are called the Seven Savers. These surahs are "Al-Borooj", "As-Sajda", "Ya-Sin", "Ad-Dukhan", "Al-Waqi'a", "Al-Insan" and "Al-Mulk". Our Prophet (pbuh) mentioned these surahs in different "Ahadeeth", referring to special benifits of each of them when reading it. Each page here contains 15 lines as in the standard Quran. With interpretation of selected words on the margin of each page. These surahs comes together in a nice glossy cover. Very good mashallah, high quality Qurans will buy again for sure.. I didn't know about these special sorahs before, a friend recommend this and I would recommend it too.